The Exhibition and Events Association of Australasia celebrated its 20th anniversary along with the industry’s finest performers at the 2012 EEAA Awards for Excellence at the National Gallery of Victoria Tuesday night (4 Decmeber). 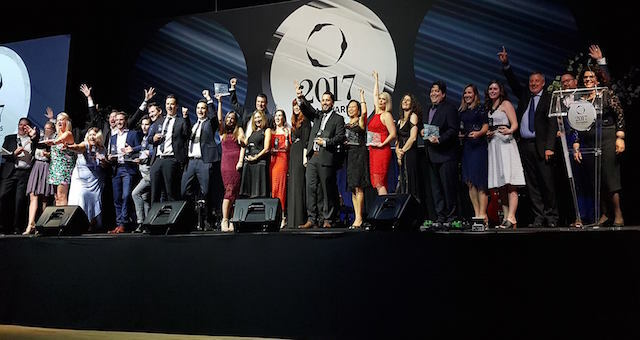 Hosted by popular comedian Tom Gleeson, the EEAA Awards recognise outstanding merit and leadership within the industry and provide an opportunity for members to showcase their finest work and people. Judged by a panel of independent industry experts, the awards were open to venues, suppliers and organisers. EEAA President Matthew Pearce presented the Trevor Riddell President’s Award to Ton van Amerongen, Chief Executive of the Sydney Convention and Exhibition Centre (SCEC), in recognition of Ton’s contribution to the exhibition industry, including 18 years at the helm of the Centre. “Ton has been an inspirational leader. He has brought great professionalism, passion and style to all aspects of business partnerships in the exhibition and event sector. Under Ton’s stewardship, the centre has hosted grand events that will be part of the city and nation’s event history,” said Matthew Pearce. 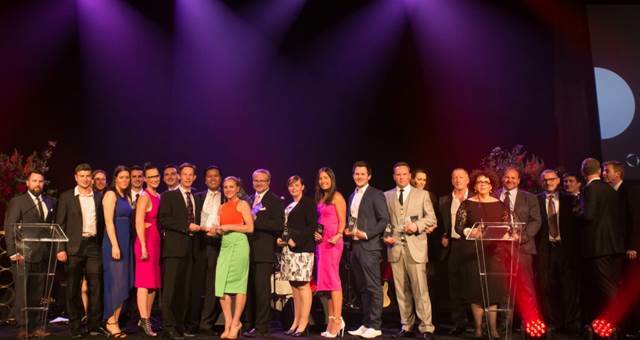 The Best Australian Show Award went to Cellar Door Wine Festival – Adelaide entered by Adelaide Convention Centre. This event achieved the highest score of all shows evaluated by judges. The Best New Zealand Show was awarded to Fine Food New Zealand entered by North Port Events. It was a big night for the SCEC, with the Centre also receiving the award for Best Venue Team, Best Safety Initiative and Jessica Calder taking home the Richard Geddes Memorial Young Achiever Award against a very strong field of entries, including Josh Dry, Smart Show; Shaun Krenz, Diversified Exhibitions; Rachel Madden, Diversified Exhibitions; Kylie McRorie, Diversified Exhibitions; Rachel Prior, Adelaide Convention Centre; Alli Reed, Reed Exhibitions Australia; and Rebecca Tasker, Exhibitions and Trade Fairs. The 2012 winner, Jessica Calder, 27, was recognised as a fine talent. She successfully managed over 30 events in the qualifying period, including the high-profile Australian Fitness and Health Expo, Grand Designs Live and Cloudforce events, and led the review of the Centre’s total Event Risk Management process. The Award for Best Consumer Show Over 10,000m2 went to Grand Designs Live —­Melbourne entered by Diversified Exhibitions Australia, which also picked up the Most Outstanding Marketing Campaign – Consumer Show Award. Best Trade Show Over 10,000m2 was won by Australian Fitness & Health Expo entered by Diversified Exhibitions Australia.